Parliament through its committee on science, technology and innovation, has organized a sector, technology and innovation exhibition (STI) from 10th-14th December 2018, at parliament ground. 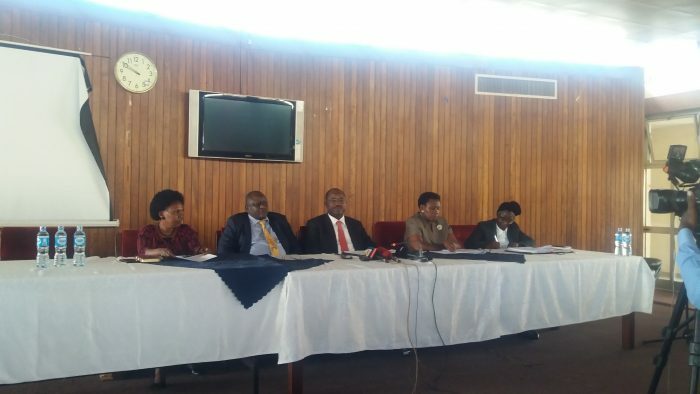 Addressing media briefing at parliament, Members of the committee said that the objective of the exhibition is to empower and support Uganda’s innovators, identify innovations that require government innervation’s and funding as well as enhancing socio-economic transformation of the country through use of Ugandan local materials. According to the chairperson of the committee (Rtd) Major Fred Bwino Kyakyulaga ,the exhibition will motivate Ugandan innovators and in turn ,the country may get enhanced better solutions that meet current requirements and challenges and existing market needs by providing more effective products ,technologies among others . “ it’s is common knowledge that when one has great idea for a product or service ,there will always be people who will want to duplicate ones success and sell his or her ideas as their own ‘’. But said parliament is well aware of this danger and in an effort to install confidence in the exhibitors. He added that preventive measures have been called for intellectual protection to stop people from stealing or copying. He also revealed that the registrar general and the entire institution of Uganda registration services bureau is expected to attend the event throughout the week to ensure that the exhibitor’s intellectual property rights are registered. He noted that the innovations to be exhibited will include creative thoughts, and new imaginations in form of device, method and value chain additions. The theme of the event is ‘transforming the country through Ugandan innovations, which will officially be opened by the speaker of parliament Rebecca Kadaga. According to the chairperson of the committee, Fred Kyakyulaga, the 800 Ugandan innovators are expected to attend the exhibition that’s slated for next week.